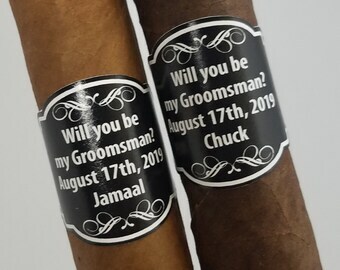 Personalized Cigar Labels are a fun and inexpensive favor for a wedding, engagement party, bachelor party, baby shower or any special occasion! 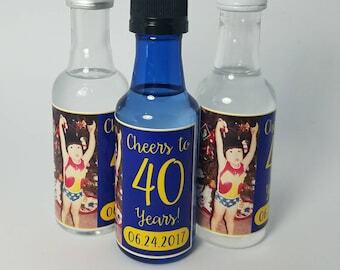 Our labels are made of high quality paper media, peel and stick self-adhesive backing, waterproof material and eco solvent inks. 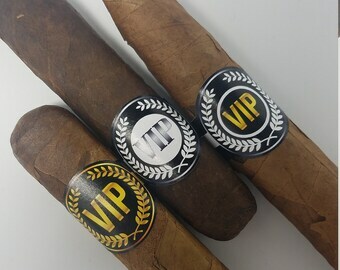 Ink will not run or bleed and labels will stay adhered to the cigar. 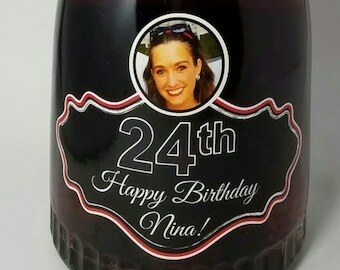 Designs shown can be customized with your choice of colors, text and/or full color photo. 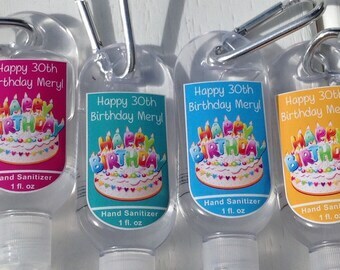 - OPENING MINIMUM ORDER QUANTITY IS 6 LABELS. LET US KNOW IF YOU NEED A QUANTITY OTHER THAN WHAT IS LISTED (above minimum) AND I WILL CREATE A NEW LISTING FOR ORDERING. Have a special request for design? Contact us and we will work with you to create the perfect design for your event. Proof will be provided within 24-48 hours of receiving order via email before printing. Item will not be printed and shipped until customer approval is received. No changes can be made once proof is approved. Most orders are printed within 24 hours of approval but please allow up to 3 days. Please make sure to purchase the appropriate shipping method when placing your order as the RUSH fee does not include expedited shipping! Standard Orders are shipped USPS 1st Class Mail with Tracking unless upgrade is purchased. 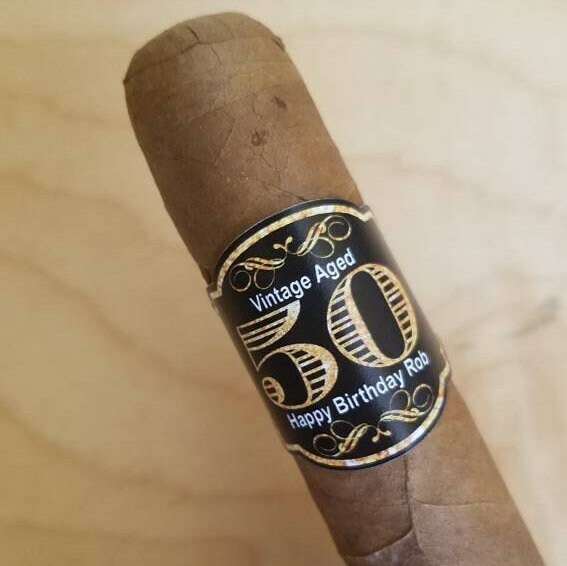 Went over very well as a party favor. Very unique. Very adhesive.